The Big Red officially opened the season with a Friday night match against #6 Central Michigan and followed it up with the Arno Niemand Body Bar Invitational. 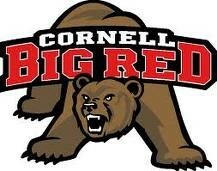 Cornell’s Big Red: A green light for an NCAA team title? 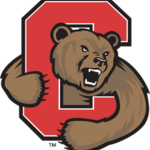 Author Mark PalmerPosted on Mon, 11/1/10 Mon, 11/8/10 Categories Cornell, NCAA CornerTags Cornell, EIWA, Kyle Dake, Mack Lewnes, Mike Grey, Rob Koll1 Comment on Cornell’s Big Red: A green light for an NCAA team title? My wife loves the summer, my kids love the summer. I love when the summer ends. The end of summer symbolizes one thing: wrestling season is almost here. The Big Red wrestling team will add ten members to its roster as the class of 2014. The class has been recognized as one of the best in the country (third by WIN magazine, fourth by TheOpenMat.com and D1CollegeWrestling.com and eighth by Intermat). The group represents eight different weight classes and six states. Rob Koll recaps the Big Red’s performance at the 2010 EIWA Championships. Cornell powers through the first day of the EIWA championship as 8 of 10 Big Red wrestlers stormed through the quartfinal round. This weekend we finished up the dual meet portion of our season by defeating Brown and Harvard. The victory over Harvard secured our eighth consecutive Ivy League title. The program’s Ivy League winning streak now stands at forty-three straight dual meet victories over Ancient Eight opponents and this year we outscored the rest of the league by a combined score of 204-19. Rob Koll recaps the Big Red’s weekend performance against Penn and Princeton. Now that we have wrestled through the most rigorous portion of the season it is nice to have a few “lighter” matches leading up the EIWA tournament. 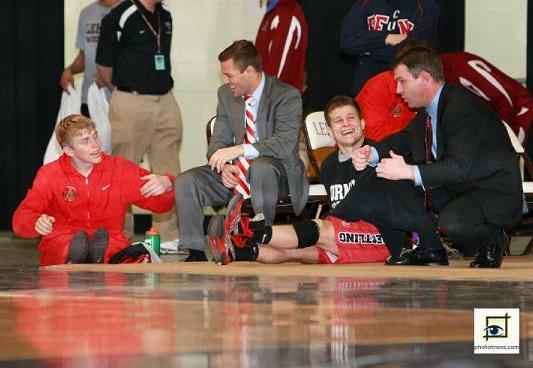 Out of twenty matches wrestled, we had only one wrestler lose a match. Now that we have wrestled through the most rigorous portion of the season it is nice to have a few “lighter” matches leading up the EIWA tournament. Out of twenty matches wrestled, we had only one wrestler lose a match. 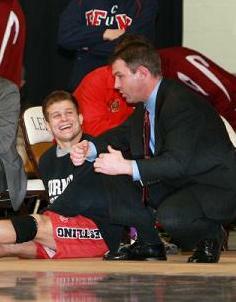 Unfortunately that same wrestler, John Basting, not only lost a match but suffered an injury in his final bout. I am not sure when he will return to the mats. 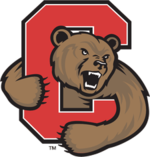 Cornell had a full weekend of wrestling with Lehigh on Friday evening and the New York Intercollegiate Championships all day Saturday and Sunday. We tied #8 Lehigh 15-15 and won the NY States, crowning five champions. 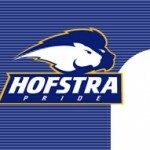 We had a full weekend of wrestling with Lehigh on Friday evening and the New York Intercollegiate Championships all day Saturday and Sunday. We tied #8 Lehigh 15-15 and won the NY States, crowning five champions. Cornell head coach gives his mid term report on the Big Red Wrestling team with an in depth analysis of each weight class. Sorry it took me an extra day to get this update out. We took the redeye back and I expected to write it on the plane flight back. Sorry it took me an extra day to get this update out. We took the redeye back and I expected to write it on the plane flight back. Unfortunately Delta Airlines chose to play an evil joke upon me by wedging me between Damion Hahn and Taylor Moore. I attempted to reach my computer, which was under my seat, but my arms were tightly pinned to my side by Damion and Taylor’s massive girth. Taylor prides himself on his weight gain now that he has moved up to 285. Damion on the other hand still claims to be hovering around 200 lbs. This claim is accuratel; however, it is based on what he would weigh on the planet Mars. Despite terrible travel, 28 hours of travel time to get there and a redeye back, the team wrestled very well finishing a point shy of first place. I was going to put this off until after the Body Bar but l figured I might as well get it over with. We lost a heartbreaker tonight. There were some absolutely amazing performances and an equal number of less than stellar performances. I will start with the positives.